A reusable cutlery set for on the go so you can ditch plastic utensils. 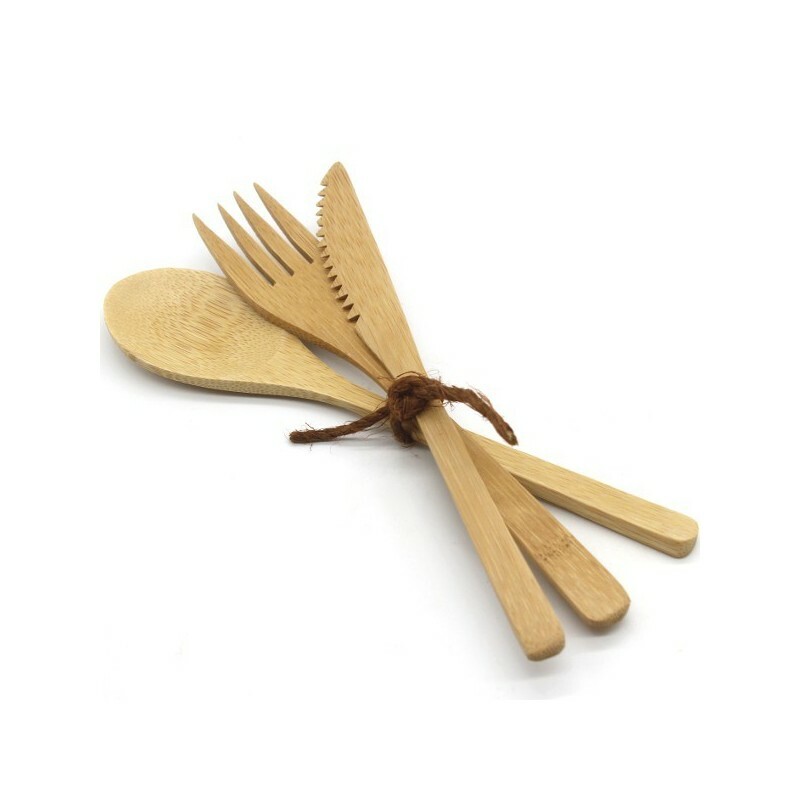 Set includes bamboo fork, knife & spoon. The bamboo utensils are particularly good quality and functional compared to others. Made from MOSO bamboo. 3 pieces. Set is bagless. We searched for high quality, special bamboo cutlery to include in our set: the spoon is very smooth, the fork is sharp enough to skewer food (unlike some plastic forks), and the knife has a serrated edge for proper cutting, which is a hard feature to find. Consume less over time: Reusing an item and taking care of it, instead of using single-use items, means saving money, resources and the environment. 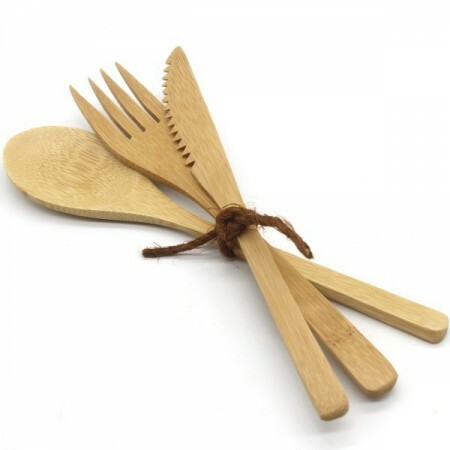 Cutlery is made from bamboo, which is a sustainable and regenerative resource. All items are durable and will last a long time with proper care. 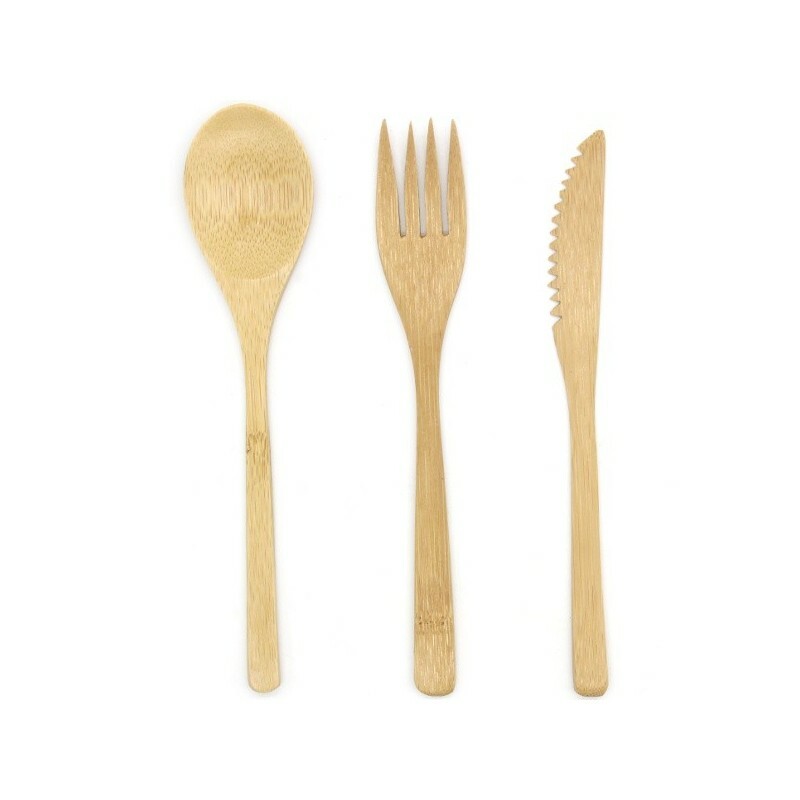 Fork, knife and spoon are made from sustainably-sourced bamboo. At the end of the cutlery sets life you can add to your compost to naturally breakdown. All cutlery bamboo - 18cm long. Natural plant oil based lacquer. Care instructions: Handwash cutlery in warm toxin-free soapy water and dry thoroughly before storing. Browse our other zero waste items. 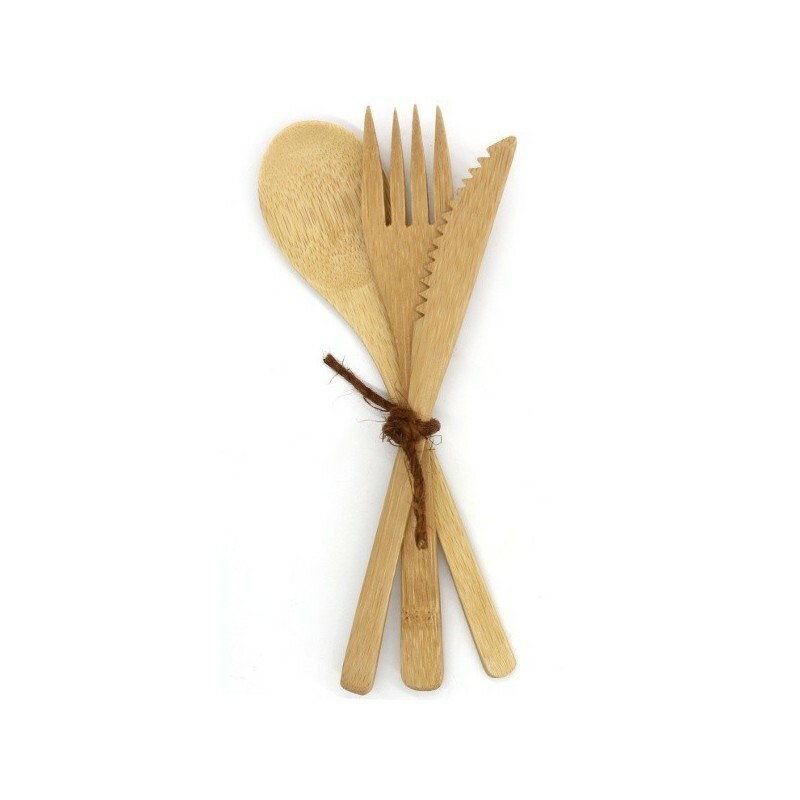 I love these-really nice quality-lovely to use and rinse off...in my handbag all the time..
Really love this set as the fork is PERFECT and actually functional compared to all other wooden utensils I’ve purchased. And the knife works great too! Wish the spoon was just a little bit more of a deeper well to hold more food.